Stress, genetics, and sun damage are all factors that change our appearance over time. Fine lines, wrinkles or sagging skin can be reduced to reveal a more energetic appearance, turning back the clock on the aging process. Located in Jupiter, FL, Koger Cosmetic Clinic and Medspa led by board-certified plastic surgeon Dr. Koger, performs facelift surgery for Palm Beach County residents, including West Palm Beach, Vero Beach and Wellington. As people age, the effects of gravity, exposure to the sun and the stresses of daily life can be seen in their faces. Deep creases form between the nose and mouth; the jawline grows slack and jowly, and folds and fat deposits appear around the neck. A facelift (technically known as rhytidectomy) improves the most visible signs of aging by removing excess fat, tightening underlying muscles and redraping the skin of your face and neck. A facelift can be done alone or in conjunction with other procedures, such as a forehead lift, eyelid surgery or nose reshaping. The best candidate for a facelift is a man whose face and neck have begun to experience the changes of aging. Most patients are between 40 and 60 years of age, but facelifts can be done successfully on people in their 70s and 80s as well. A facelift can make you look younger and fresher, and it may enhance your self-confidence in the process. Before you decide to have surgery, think carefully about your expectations and discuss them with Dr. Koger. Facelifts are very individualized procedures. In your initial consultation, Dr. Koger will evaluate your face, including the skin and underlying bone and discuss your goals for the surgery. Dr. Koger will discuss your goals for the procedure, as well as your medical history to ensure you are a good candidate for this surgery. Be sure to tell Dr. Koger if you smoke or are taking any drugs or medications, especially aspirin or other drugs that affect clotting. 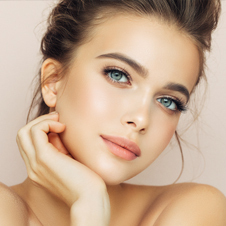 If you decide to have a facelift, Dr. Koger will explain the techniques and anesthesia he will use, the type of facility where the surgery will be performed and any other information you may need before your procedure. Don’t hesitate to ask Dr. Koger any questions you may have. Facelifts are usually performed under general anesthesia. However, it is possible in some instances, to use a different form of anesthesia. In either case, your anesthesia options will be discussed with you during your consultation with Dr. Koger. A facelift usually takes several hours and even longer if you are having several procedures completed at the same time. For extensive procedures, some surgeons may schedule two separate sessions. Incisions usually begin above the hairline at the temples, extend in a natural line in front of the ear and continue behind the earlobe to the lower scalp. If the neck needs work, a small incision may also be made under the chin. In general, Dr. Koger separates the skin from the fat and muscle below. Fat may be trimmed or suctioned from around the neck and chin to improve the contour. Dr. Koger then tightens the underlying muscle and membrane, pulls the skin back and removes the excess. Absorbable sutures secure the layers of tissue and close the incisions. There are no visible sutures on the outside of the skin that need to be removed. Following surgery, a small, thin tube may be temporarily placed under the skin behind your ear to drain any blood that might collect there. Dr. Koger may also wrap your head in bandages to minimize bruising and swelling. The drains and bandages are removed 24 hours after surgery. 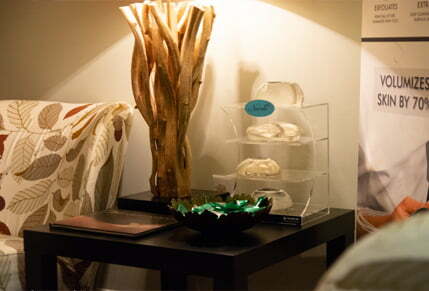 Each facelift procedure is designed specifically for that patient’s needs. This can vary if you are having more than one procedure done. Dr. Koger and his team will discuss the cost of your procedure during your consultation. For your convenience, we accept cash, check, Visa®, MasterCard®, American Express® and Discover®. We also offer financing options via CareCredit®. After this procedure, you will need to keep your head elevated for several days to facilitate the healing process. Be prepared to limit your activities following your procedure and have someone drive you home. You will not see immediate results, but your appearance will rejuvenate over the following weeks. You should be up and about in a day or two but plan on taking it easy for the first week after surgery. Be especially gentle with your face and hair. Dr. Koger will give more specific guidelines for gradually resuming your normal activities. You should avoid strenuous activity, including exercise and heavy housework, for at least two weeks. Walking and mild stretching are permitted. Strenuous sports are to be avoided for at least four weeks. And above all, get plenty of rest and allow your body to spend its energy on healing. Remember any procedure is stressful for your body and you will not see immediate results. Within the first three to four weeks you will look and feel much better. Most patients are back at work about 10 days to two weeks after surgery. If you live in or around West Palm Beach, Wellington, Vero Beach or anywhere in Palm Beach County, and are looking for a board-certified plastic surgeon to perform a facelift, contact Dr. Koger at Koger Cosmetic Clinic and Medspa in Jupiter, FL, today to set up a complimentary consultation.